As a practicing physician myself, this is very concerning. But what can be done? With properly developed software, you can avoid a significant portion of these physician burnout issues. When implementing a new EHR, involving doctors from the beginning has proven to yield smart, intuitive design that naturally fits into clinical workflows. At Northwestern, we are evidence of this paradigm shift and have 100% of providers in the ED documenting with Expanse ever since go-live. Before implementing MEDITECH’s Expanse earlier this year, Northwestern Medical Center was using a best-of-breed solution that was not integrated with the inpatient side. It took time to open separate systems to review past patient data such as trends in renal function and admission records. It also required maintenance of separate allergy, medication, and problem list data for the ED system, which was of course, redundant when patients required admission. Interfaces with lab and other ancillary departments were difficult to create and maintain. Access to patient information from the ED to other providers was limited and required manual faxing of records. As part of our EHR development plan, we had the fortuitous opportunity to become the first early adopter of MEDITECH’s Expanse. Throughout this project I worked directly with MEDITECH to develop the MEDITECH Expanse solution for our organization. The power and flexibility of a web platform became apparent to me in the early stages of the project. What we found was a system that supported our top priority — clinical workflows. This included well organized patient data presented to the provider in aliquots that are easily retained, rapid launches to desired screens without circuitous routing, and pleasing screen displays with large text and buttons that are easy to tap. It also provided the flexibility that we needed to develop documentation workflows that directly follow the sequence of events taking place while caring for patients in our ED. It sounds obvious, but you really have to put yourself there and imagine how care actually happens in an ED and mirror that workflow in your design. The electronic health record has become the ED physician's most important working clinical tool. It involves multiple layers of workflow for each patient encounter. Each layer has its own purpose and complexities. Carefully creating a system where all the layers work cohesively is what makes a great EHR. It needs to encompass everything from the patient document itself with the new data you’re entering in the chart as you see your patients, to complete past and current patient information. Then finally, the system needs to fully leverage everything into one cohesive place to create clean, readable documentation that communicates well with all providers — whether inside or outside the Emergency Department. Here’s a deeper dive into the guiding principles we applied to each layer of documentation to build an EHR for our Emergency Department. We divided the layers into three components: the document, the chart, and the tracker. At the core of an EHR is the most important layer — the document. 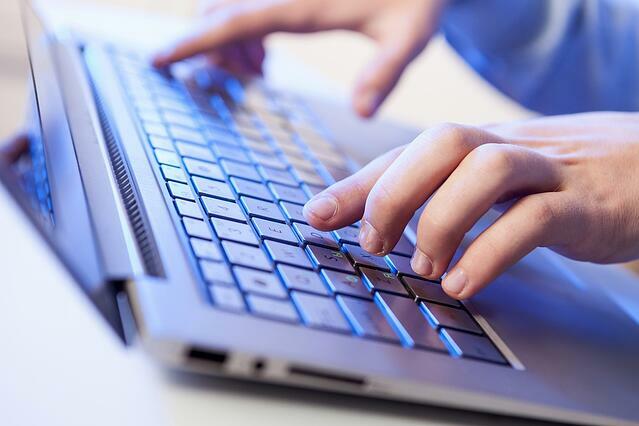 This must allow precise, rapid data entry into the record by the provider, and create a document that is legible, inclusive, and communicates well. This starts at registration and flows through triage, technical staff, and primary nurse entries. These initial data elements are incorporated into the physician document so that the provider's input is cumulative to the existing entries which saves time, reduces redundancy, and reduces the risk of contradictory documentation. Prior history elements also populate the record through recall function. 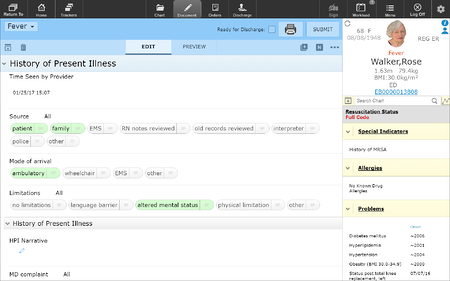 We put a lot of thought into making the physician record as easy to create, and intuitive to use as possible. Templates were built specifically for each chief complaint and tailored to our patient population. The next layer surrounding this core is the chart — past and present information about the patient. All the data coming in must match a provider’s thought process. The chart is organized into segments that are accessible with a single tap and viewed in a manner that is easy for the provider to interpret. Difficult to find, yet important elements were brought to the forefront with personalized widgets to maximize viewable information in the initial chart view. It is important to have a patient’s history at our fingertips. For example, the Provider Notes and Activities tabs had to be easy to access to view past labs, x-rays, emergency visits, admission data, and other pertinent information. 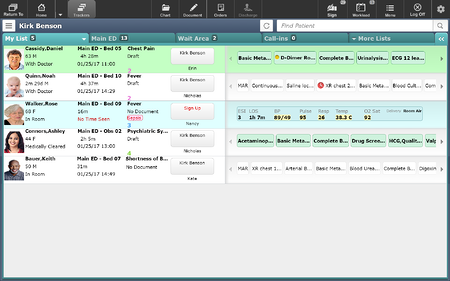 Expanse uses the same chart view across care settings, whether ED, inpatient, or outpatient. But you can also tailor to each provider’s needs within their specialty. We made customizations to the chart view specific for the ED use, and pushed these changes out to all of our providers prior to go-live. This assured that our providers had an optimal chart view right from the start. On the outer layer we crafted the tracker to reflect our ED layout. We brought forward some of the most important data elements, such as special alerts and vital signs on the tracker for initial patient contact. We also leveraged the “My Patients” (My List) tracker to reduce distractions and improve efficiency. Rapid links from the patient's name bar allow access to the document, and then just one tap to select the section where you would like to add documentation. In addition, you can quickly get into the orders routine, and initiate an order from your favorites order list. Lastly, it takes only one tap to enter the patient's chart where you find complete current and past data and history. Having orders and results viewable right from the tracker greatly enhances efficiency as well. A simple tap over the lab results bubble displays the data in a table format. An adjacent quick launch into the orders system allows you to act on the results rapidly without having to go into the document or chart. Building a great EHR takes thought, concentration, creativity and an excellent partnership between clinical users, like myself, and technical players, like MEDITECH. Going through the process of helping develop and implement Expanse, we were pleasantly surprised at how well the system conformed to our needs. As we built our system, and put Expanse into clinical use, we critically examined every action within the software to see where we could save time or eliminate taps. The response from the development and implementation teams was exceptional. With the implementation of Expanse, we gained direct links to patient histories, rapid trending of lab data, embedded voice recognition options in the record from any device, intuitive data entry points, and narrative formatting of the record for excellent readability. The integration between our ED and the inpatient side has seen significant improvements over our best-of-breed past. 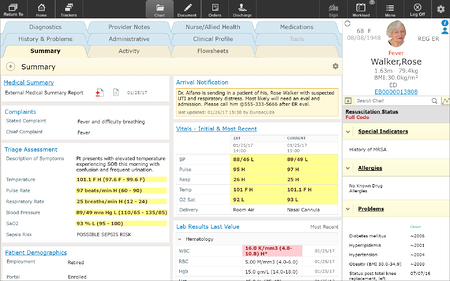 Health history information like allergies in the integrated patient chart spans the care continuum across all available settings. By making an EHR more intuitive and workflow friendly, patients get their care faster. Efficiency and provider comfort with their EHR has a big influence on patient satisfaction, and to have an EHR that enhances workflow instead of hinders, is crucial. Looking to the future, I’m excited to continue enhancing our systems and workflows to maximize functionality. With physician burnout and desktop medicine taking over headlines and medical careers, it’s refreshing to have found at least one solution. Taking the time upfront to set up an EHR that helps physician productivity, is not only possible now, but it’s what we need and deserve. Looking for new ways to innovate your organization? Download our Innovation in Action white paper and see how organizations are leveraging MEDITECH’s EHR to advance patient care. Louis Dandurand, MD, is an attending ED physician and ED software informaticist at Northwestern Medical Center in St. Albans, Vermont. He works regular clinical ER shifts while he leads the physician informaticist team for MEDITECH Web implementation, and develops software for clinical use. Dr. Dandurand is board certified in emergency medicine and is a member of the American College of Emergency Physicians. He received his Bachelor’s degree from the University of Maine, and his Doctor of Medicine (M.D.) from the University of Vermont College of Medicine. He completed residency training in Emergency Medicine at West Virginia University in Morgantown, WV.